CRUCIAL MEETING. 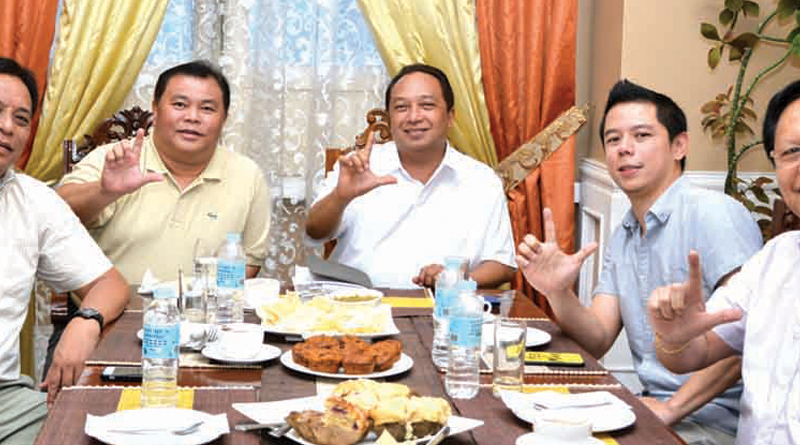 City Mayor Baba Yap, Vice Mayor Toto Veloso and City Councilor Dodong Gonzaga, now united under the Liberal Party as they show the LP hand sign with Gov. Edgar Chatto and Rep. Rene Relampagos after a crucial meeting at the Governor’s Mansion last night. The much awaited “dream team” of City Mayor John Geesnell Yap and Vice Mayor Jose Antonio Veloso under the Liberal party (LP) was finally sealed which aborted an earlier scenario of a head-on fight between the camps of both top city leaders for next year’s election. This came two days after Mayor Yap took his oath to the Liberal Party before presidential timber Mar Roxas in Manila last Thursday. However, the final slate of the Yap – Veloso tandem will still be finalized this week as guidelines are being set for the “unity agreement” in consultation with the respective groups’ key leaders. The two top city officials, together with City Kagawad Agustinus “Dodong” Gonzaga met yesterday to iron out crucial political matters especially on the finalization of the 10-man slate for city councilors. Gov. Edgar Chatto and Rep. Rene Relampagos, LP provincial and district chairmen met the three local officials in a closed door meeting at the Governor’s Mansion. Gov. Chatto toldÂ The ChronicleÂ after yesterday’s meeting that the crucial meeting was a breakthrough in the relentless effort to unite Yap and Veloso, the latter who is his brother-in-law. TheÂ LP provincial chairman declined to comment on who will compose the city slate. Yap, Veloso and Gonzaga will finalize the selection of the 10-man city ticket within this week. Earlier, it was reported that Veloso demanded a 5-5 composition in the city slate while Yap asserted that the five incumbent city councilors under his administration should automatically be part of the ticket. They are councilors Adam Jala, Jojo Bompat, Jerry Pabe, Dulce Glovasa and Pepot Besas. 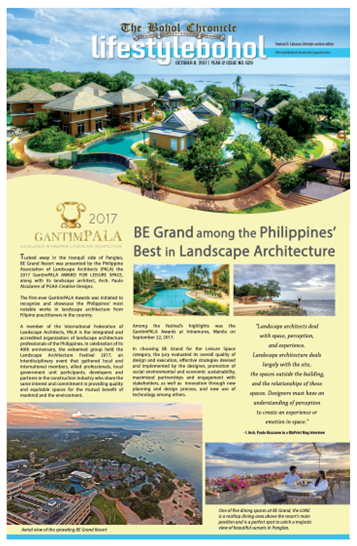 The final selection of the 10-man ticket will be the subject of a series of discussion and consultation during the next few days as the filing of the certificate of candidacy is set on October 12 to 16. It maybe noted that the province is a predominantly administration bailiwick with majority of the incumbent mayors under the Liberal Party. Fixers illegal, but you cannot enter the LTO without being harassed under the eye and protection of officials. Drug, we see many busts but what about conviction. The roads are bad with unregistered, unsafe and unlicenced.